As the number of white residents in a neighborhood declines, noise rises. 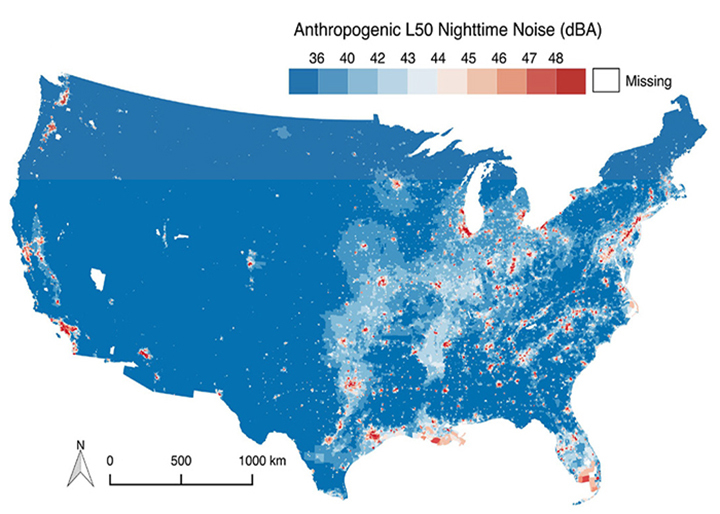 But noise pollution is inescapable in segregated cities, where it is worse for everyone, according to the first breakdown of noise exposure along racial, ethnic, and socioeconomic lines in the United States. The study led by UC Berkeley School of Public Health researchers is the first to examine noise pollution nationally through the lens of racial disparities and the extent to which noise is exacerbated by living in segregated cities. The study does not examine how noise is linked to health, but previous studies have shown that it can be associated with acute health problems such as high blood pressure and loss of sleep. The study was published July 25 in the journal Environmental Health Perspectives. The research was funded by the Robert Wood Johnson Foundation and the National Cancer Institute. Casey works in the lab of Berkeley professor and study co-author Professor Rachel Morello-Frosch, whose research has extensively examined racial, ethnic, and economic disparities in exposure to environmental pollutants. The study found that neighborhoods with at least 75 percent black residents had median night-time noise levels 4 decibels higher than in neighborhoods without any black residents. The difference in noise levels between predominantly white and predominantly black neighborhoods as the largest of all races and ethnicities studied.